Admission: By donation ($5-10 suggested). STILL RECORDING is a feature documentary that follows art students Saeed and Milad, who decide to leave Damascus and go to Douma, a suburb under rebel control. 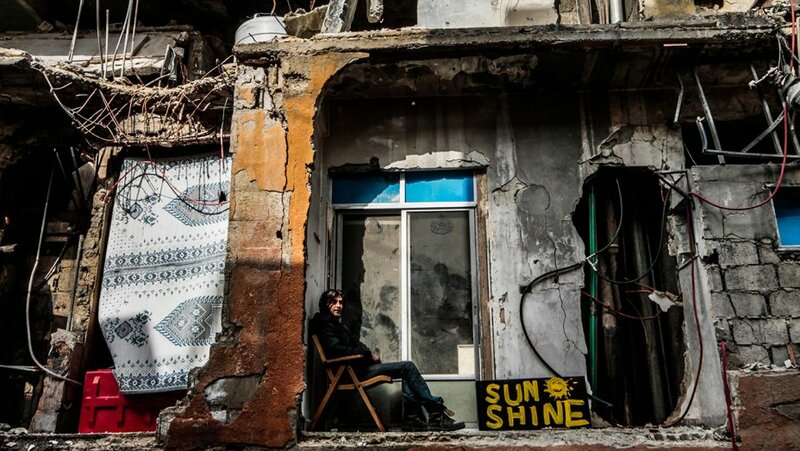 Over more than four years, the film depicts the two friends and their acquaintances as they go about their daily lives, capturing the transformation of the city of Douma and its people as they go through liberation, war, siege and hunger. More than 500 hours of footage was shot, and the men face grave questions about life and death, revolution and armed struggle, dreams and doubts, fear and love, and the use of art in a world facing destruction. Saeed and Milad try to launch a graffiti art project in Douma, but things in the besieged city take a turn for the worse after a chemical attack on eastern Ghouta. After he loses one of his friends, Milad decides to revive the art project with the help of his friends by painting colourful graffiti on the grey, devastated walls of the city. Saeed and Milad finally get out of Douma and seek refuge in Beirut, where they face loss, exile and hope.